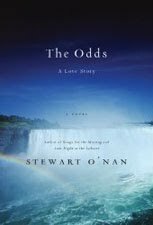 The Odds By Stewart O' Nan Marion and Art are both unexpectedly unemployed. They have reached middle age after many years of marriage, two grown children and their fare share of ups and downs. On the brink of bankruptcy and divorce they decide to gamble their remaining finances and their love on Valentines weekend at Niagara Falls, the destination of their long ago honeymoon. Stewart O' Nan brings the reader right along for the journey. As you read this story, which is designed in short easy chapters, the reader can hear the slot machines ringing. The author is right on, the characters saying and thinking exactly what most think but rarely say out loud. Scary part is, its too real, its slightly depressing. The issues people do not wish to face, the feelings couples fear are gone forever, the daily grind that gets you nothing but a cheap weekend visiting Ripleys Believe it or Not! and eating cheap ugly buffets. Art and Marion find out there is more. Mudbound By HillaryJordan This story takes place in the late 1940's. It is post WWII in Mississippi and Laura is thought to be destined a spinster. Although she and her siblings are college educated and lead a modern lifestyle, if you are unmarried and in your 30's, you are considered an old maid. Until she meets Henry. He is a bit older, intelligient, somewhat sophisticated and romance blossoms. To the delight of everyone, they marry and following his dreams of farming, Henry moves the family to a rural area far from everything Laura knows and loves. She calls the farm Mudbound due to the torrential, flooding rains and lack of ever feeling truly clean again. Henry's mean spirited pappy moves in with them, as does his brother Jamie, who is quite the ladies man. This is a small story, in a small town with very small minded people but somehow this magnificent author brings it all to life in a big way. The reader can imagine each and every character, their joy and their sadness are palpable. Savor each chapter because it goes too quickly. Highly recommend this novel, quite sure there will someday be a movie to follow. 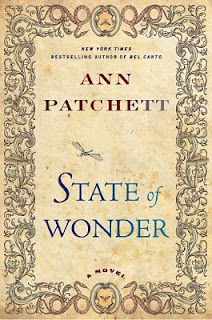 State of Wonder By Ann Patchett Dr. Marina Singh is the main character of this unique, adventurous, suspenseful novel. Marina is a pharmacologist, MD, PhD, working for a huge pharmaceutical company called Vogel. She is having a quiet affair with the older, widowed CEO, Mr. Fox. Her office mate and dear friend, Anders is sent to Brazil to check on research the company is funding in a very deep remote part of the Amazon. When word of Anders death finally reaches them, Anders wife, Karen begs Marina to travel to Brazil and confirm this news and gather the details of which they received very few. Once Marina is in Brazil this novel takes the reader off to another world. You can feel the intense heat, enormous bugs and virtual dangers as they are encountered. 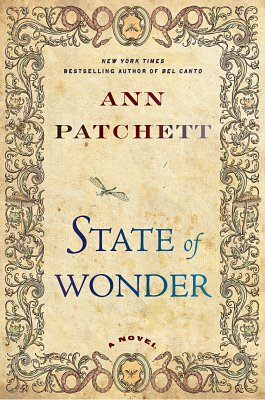 Although leery of my interest of the subject at first, State of Wonder turned out to be an excellent read and one I did not want to end! Highly recommend this novel! The Descendants By Kaui Hart Hemmings The King family are descendants of Hawaiian royalty. They own an enormous amount of land in Hawaii that is proposed for sale to be developed. Joanie King is Matt's beautiful, outgoing, wife who enjoys life in the fast lane until she is in a horrible boating accident and falls into a coma. Matt, who is normally at work as a busy local attorney is left to his own devices making family decisions and caring for their two daughters, Scottie, a feisty, fresh 10 year old and Alex, a feisty, fresh 17 year old who was recently banished to boarding school after getting caught doing drugs. Together these three bond as they never have before and search for the truth. The truth to their mother's life, loves and what their future will be like without her. It has been a long time since I could NOT PUT A BOOK DOWN! But this heart wrenching, funny, twisted story was incredibly real and touching. Now of course I will have to see the movie but after reading this amazing novel it is perfectly clear that Matt should be played by George Clooney. Highly recommend this read.